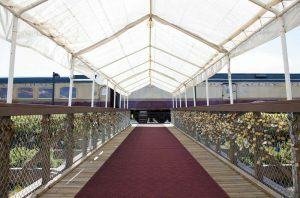 A small pedestrian foot bridge connecting the Napa Valley Wine Train station to the Napa Valley Wine Train’s boarding platform has been dedicated to lovers all over the world, a Love Lock Bridge. 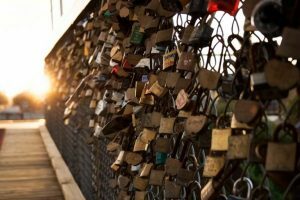 Here, lovers can take a simple padlock decorated with their names, initials or a special date and affix it to the bridge fence. Once the lock is locked, the key can be either tossed into the abyss (or should we say swale) below the bridge or saved as a keepsake. This practice is thought to have started in China where it is tradition to “lock your soul” together. 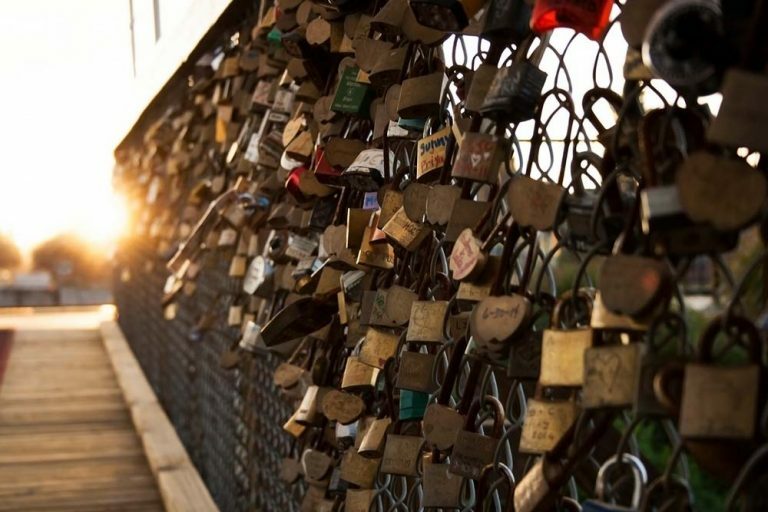 Love lock bridges are now extremely popular in Europe where locks can be seen hanging from a handful of bridges across the continent. 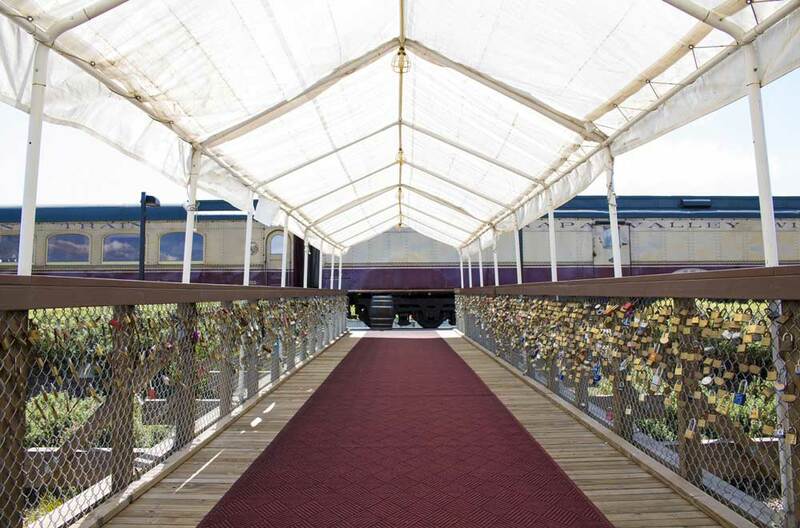 Whether you are planning on riding the Train, or just passing by, stop by the Love Lock Pedestrian Bridge and leave a token of your love in Napa. A SAFE and LEGAL place to “Lock Your Love”!